Atlas Copco will unveil its latest model in the Diamec range of core drilling rigs at MINExpo 2016 in Las Vegas. The powerful Diamec Smart 8 increases safety and performance in underground coring thanks to a series of innovative features including an integrated rod handling system and upgraded control system. Atlas Copco will exhibit its latest underground core drilling rig Diamec Smart 8 at MINExpo 2016. 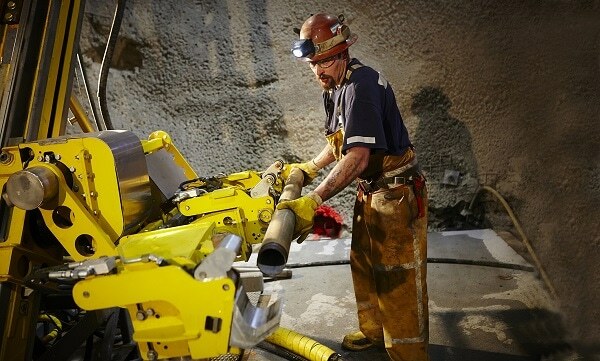 The launch is expected to set a new standard for safety in underground mineral exploration and boost long-term productivity thanks to a new software-hardware combination. The Diamec Smart 8 features a new rod handling system which is fully integrated into the rig’s upgraded RCS (Rig Control System) platform. 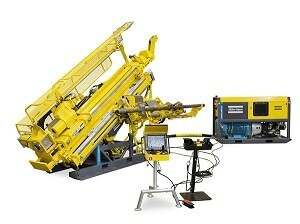 Thanks to new integration of the rod handling system it can now be operated from a safe distance. Positioning is more flexible and we have also increased the reliability of components which are longer lasting and better tuned to the working conditions. Diamec Smart 8 consolidates functions in the main control system and enables automated wire drilling, which simplifies the process of extracting core barrels from the inner tube. Nikafroozi explains: “Deep hole core drilling is not an easy job. Fatigue is a high risk factor and operators are often exposed to hazard near the drill feed. Operators can now feed drill rods in a horizontal position, which means there is less manual labor involved in handling heavy components,” he says. With RCS now very much the brain of the machine, all parameters can be set in a much simpler way. This will be especially appreciated by core drillers who often work 8–10 hour shifts, manually extracting core barrels every three meters to depths of 1 000 meters or more. Additional features on the Diamec Smart 8 include a new hardware package for flushing control that has been equipped with an electromagnetic flow meter. This allows for better control of flushing and ensures there are no moving parts. Maintenance needs are reduced and new pressure sensors give customers higher accuracy and better equipment reliability over time. Diamec Smart 8 is a true deep hole exploration rig capable of taking cores at depths of up to 2 000 meters and, according to the manufacturer, the most powerful core drilling equipment on the market. 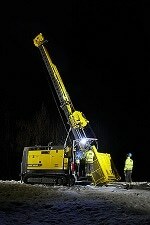 It is also a good example of next generation drilling solutions that can quickly adopt new software upgrades.